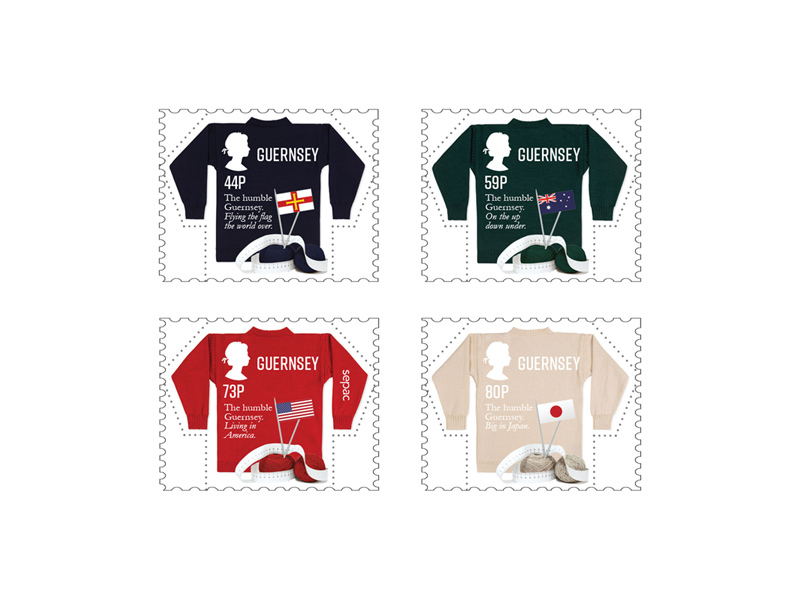 "The humble Guernsey - Flying the flag the world over" This stamp issue includes four stamps each depicting one of the many countries throughout the world where Guernseys are exported today. 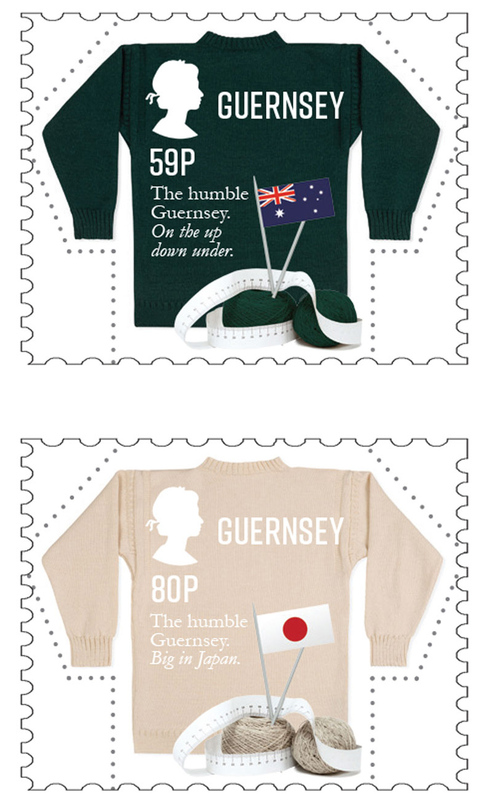 The Guernsey has not changed in design over the years and was originally hand knitted with each pattern being specific to a particular family so that if the sailor drowned he could be identified and returned to his family. 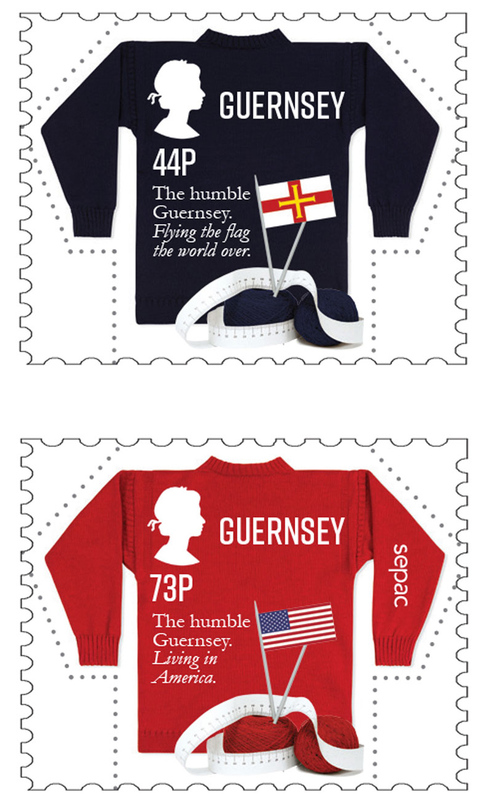 Guernsey sailors all wore Guernseys, but they pronounced the name of the island as Ganzey rather than the present pronunciation. Over time, sailors wives from ports across England realised the usefulness of the Guernsey/Ganzey, and started to knit them for their menfolk. 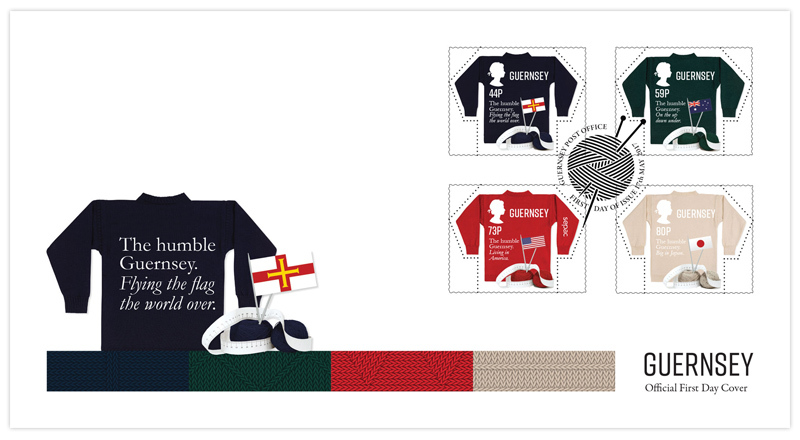 They sometimes copied the patterns they had seen the Guernsey sailors wearing, but often made up patterns of their own.